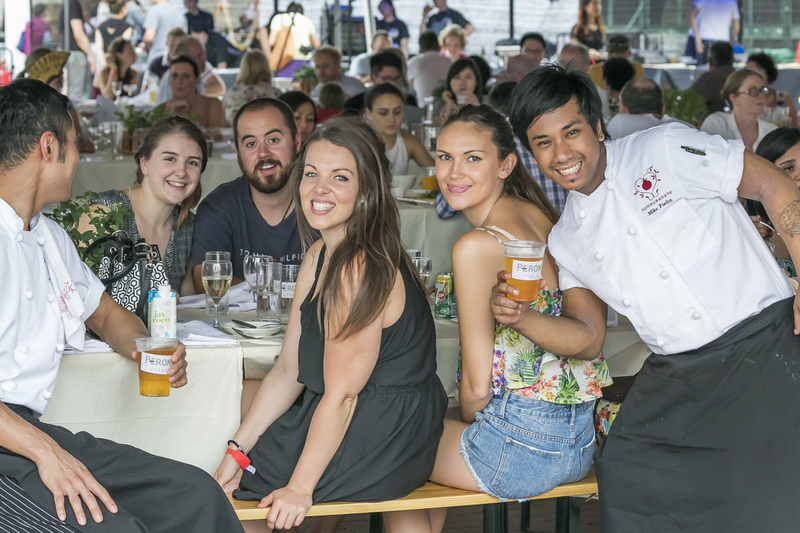 Guests arrived en-masse at the Harbourfront Feast on 2 May and grazed buffet-style as each chef prepared one signature dish at their individual stations. 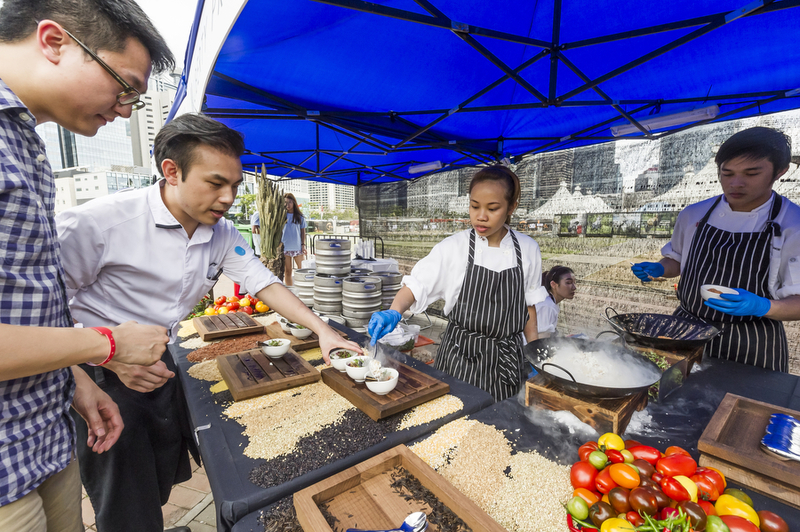 Among the line-up of restaurants, our Foodie Forks 2014 Chef of the Year winner, Vicky Cheng of Liberty Private Works, served a tuna dish with espelette pepper, tomato and puffed grains and wowed the crowds with his dry ice presentation. We expected nothing less from our Foodie winner and this standard of cooking was seen across all stations, such as chef Arturo Melendez of Chicha, dishing up his sea bass ceviche with Peruvian corn, red onion and tiger’s milk and The Globe satisfying everyone’s meat craving with their beautifully cooked lamb ribs with aubergine and yoghurt dill sauce. Relish Kitchen impressed us with their potted pork and guinea fowl rillettes, served with a prune jelly, brioche and smoked quail’s eggs and to finish, Cookieboy was on hand to delight us with his double chocolate chip sandwiches and vanilla ice cream. With the picturesque backdrop overlooking Kowloon, the fun-filled weekend at the harbourfront was a true foodie haven. 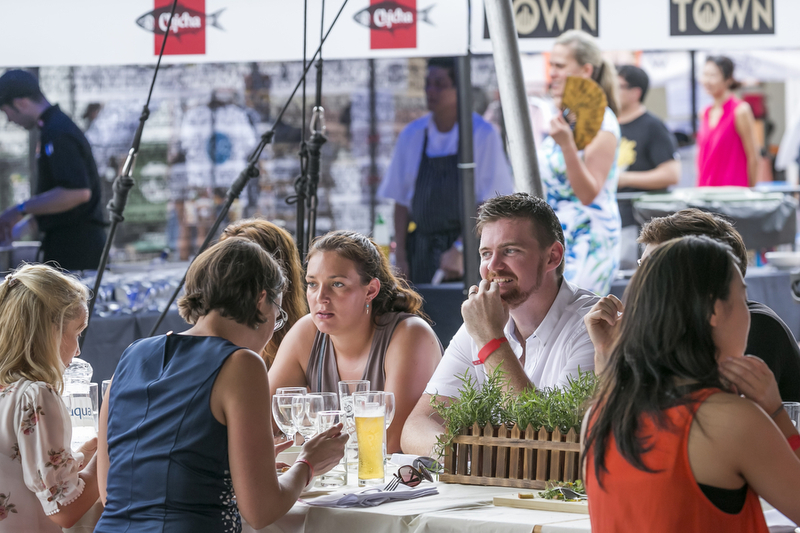 The free flow wine didn’t go amiss either and the tickets were a steal for $680 per person and we just cannot wait for the next installment of feasts at the harbour. The Dine and Design festival was also in conjunction with the feast where independent designers and food booths popped up for a series of cooking demos and food talks for the three-day weekend from 1-3 May. 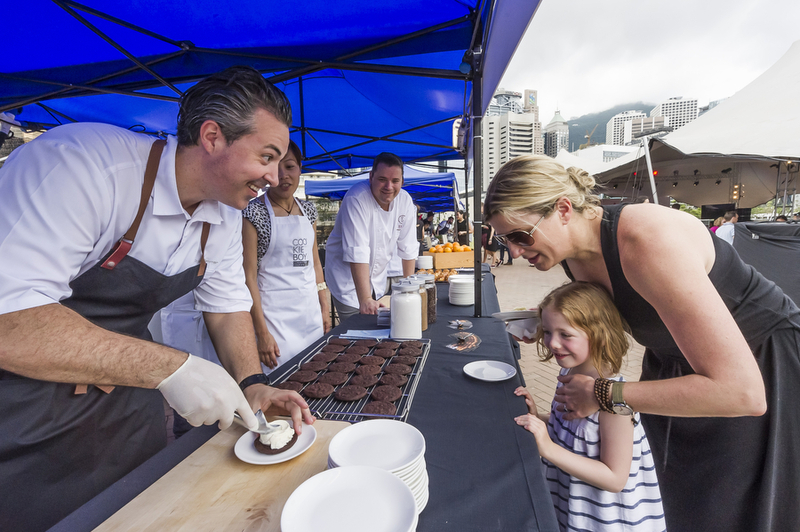 With all these delights at Central Harbourfront, it's proving to be an impressive space for unique events, filled with new and interesting food and drink vendors.